And if I ever have a son, I think I’m gonna name him Bill or George! Anything but Sue! All done with the man named Sue. 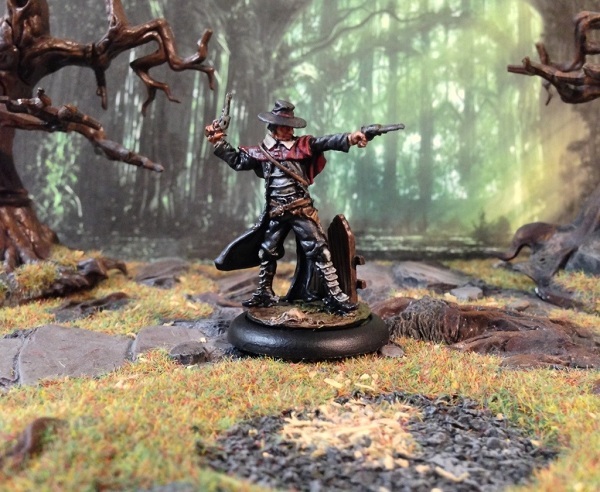 With Talents named “Hurt”, “Circle of flames” and “Tread the Line”, Sue is, quite obviously, Wyrd Miniature’s homage to Johnny Cash, which is mostly the reason why he ended up on my painting table. Model wise, he’s a pretty bland model though, with a hard-to-see face and a fair bit of “old school Malifaux” feel to him, if there’s such a thing as “old school Malifaux”. Still, I got the chance to practice painting pure black some more! Still, he’s the goddamn Johnny Cash, so he’s still awesome. On his back he normally has a flaming guitar, but I decided to go with just a regular guitar. 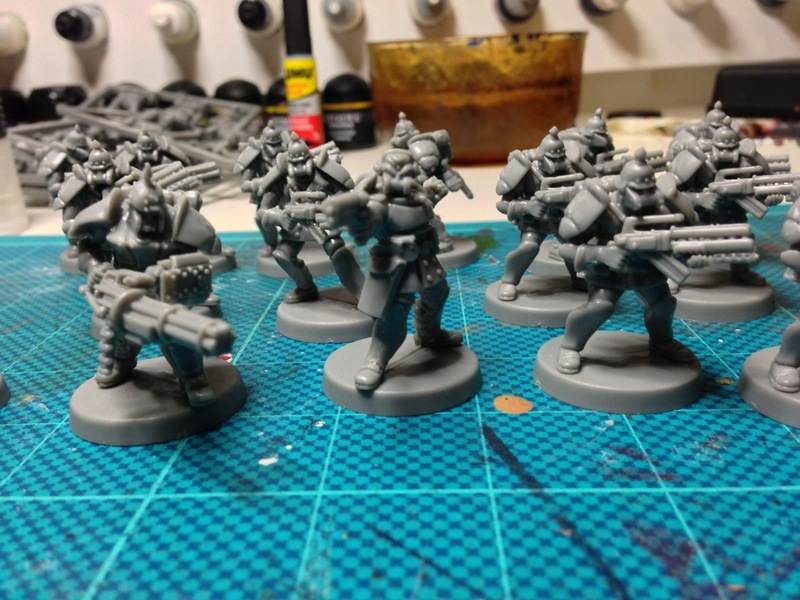 Partly because I didn’t really like the flames, and partly because it would require some OSL and flame-painting that I don’t have time with right now, as I’m trying to speed-paint as much as possible for a tournament in Uppsala I’m heading for in a week.